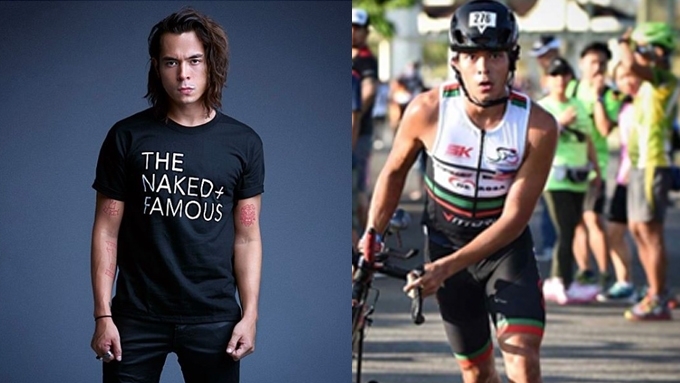 Jake Cuenca: "I had a major lifestyle change because of triathlon. It really changed my life." Jake Cuenca is the newest celebrity to join the fitness revolution in show business. The 29-year-old actor revealed that his role in the upcoming teleserye Ikaw Lang ang Iibigin is no longer just a job for him as an actor, but a part of his lifestyle. “I had a major lifestyle change because of triathlon. It really changed my life,” Jake told PEP.ph (Philippine Entertainment Portal) and ABS-CBN reporters before the SiGE Takbo send-off fun run for his co-star Gerald Anderson on Sunday, March 5. While preparing for his character as a triathlete, Jake said he slowly became the person he was set to portray. He started signing up for different races and marathons. In fact, he's been training for the upcoming Century Ironman 70.3 in Subic Bay, Zambales, on March 12. He also plans to join the Ironman 70.3 in Cebu later this year. Of course, joining these events is no longer just for the teleserye. His next goal is not actually an acting trophy. In one of his posts on Instagram, he wrote, "The thing is with acting you have so much people to thank in that moment. "Your director and producers who guided you along the way, the mentor who thought you to love your craft, the school who thought you the basics, your co-actors who helped you create beautiful sequences together and, most especially, your parents who supported you from day one. "But the thing about triathlon? There's is a moment when you finish and you realize you have no else to thank but yourself. It might sound self-centered, coincided almost but there was no one else there but yourself to get you through all of that." During the interview, Jake added, “What you wanna do is show them that you're worth being there. “Another thing is, like for me, I set the goals high for myself. “I don't just finish, I really aim to climb the top five or even in the podium. “I really set the goals high for myself. “Pero don't get me wrong, finishing one is already a big deal. “Ako lang siguro kasi it's in my nature, kasi football player ako dati, to be competitive.